It’s been quite a while since optimism descended upon the atmospheric confines of Goodison Park—and there’s one clear reason for that. While the “Martinez Out” campaigns quickly fizzled out having over-stayed their welcome, it looks like Everton have followed suit. Losing their cutting-edge dynamic last season that brought them on the verge of Champions League football, it now seems that the Toffees were punching far above their weight. “Toffees” can perfectly summarise the Merseyside contingent right now. They’re treading in treacle, and this campaign has been quite the write off. Still several points adrift of the top-half of the table, there’s no doubt that when the curtain draws upon this Premier League season mid-may, disappointment will engulf the club. Just over half-a-mile across the north-west city, while not necessarily justified, excuses were different. At Anfield, Liverpool fell off their perch in the absence of one Luis Suarez. Still though, Brendan Rodgers’ men eventually found their rhythm albeit to limp into the race for Champions League football. For Everton, there were no big departures, no voids and no gaping gaps—if anything, they managed to bolster their squad in a few aspects, with Gareth Barry and Muhamed Bešić making the switch to Merseyside, while Martinez was also able to lock in Lukaku for £28 million from Chelsea, a move of which had proved to backfire from the start of the season. 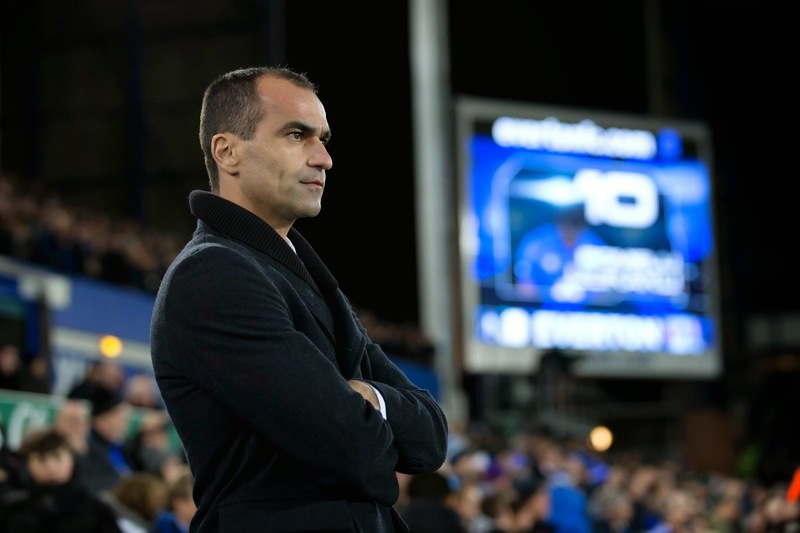 Poll: Should Martinez be in charge next season? While the Belgian has fought his way back to a more respectable tally of 10 goals in his 30 appearances in all competitions this season, according to WhoScored, the Belgian has hardly managed to fulfil the expectations ignited by last season's heroics. Saturday's dull Merseyside Derby clash, ending in a scoreless draw, epitomized the stark decline of Everton. Jordan Ibe's scintillating strike struck the woodwork, and Steven Gerrard's acrobatic effort were the two closest attempts in the contest, Everton just did not display that attacking prowess—something that's happened far too many times this season. This diagnosis surely can't just be a "hangover". Time cures that, and if this was the case, The School of Science would have seen it's blues phase out soon enough. The only change, stylistically, has see them continue to level off and are in the odd spot of safety from relegation, but also little chance of getting back into Europe. Everton aren't known to have the best of resources, and maybe that's the issue. Finishing top of Group H in the Europa League may have brought it's issues with it. The demand of not only the extra football load, but travelling too, clearly would have caused some impact on the points they could grind out the games, but that's not all. The Merseyside Derby was nearly two months since their last Europa League game—a 1-0 defeat to Krasnodar—so it wasn't fatigue, neither a hangover, it showed their fall. The quality of their play has deteriorated massively, their entertainment value, which was strongly magnetic last season, has quite simply, vanished. Romelu Lukaku can only be one of a backlog of players at fault for their drop. The contract of Kevin Mirallas as he considers engineering a move away from the club has created issues, while the Belgian himself has hardly been able to emanate his best talents. The Evertonians continue to attempt to manoeuvre themselves through a tough wave of inconsistency, they need a spark. A quick glance of their squad indicates that it's possible, but pinpointing why we have still not seen that continue to ominously make a mark on the squad is baffling. They've earned just 27 points from 24 games. On the outside looking in, Everton are nowhere to be seen in the red-hot race for Europe, and incredibly off the pace, they surely won't get there. It's now a case of salvaging their dignity, keeping a hold of players and getting momentum ahead of a fresh start. But, with still some 14 weeks of football left to play, anything can happen. If pessimism prevails, things can get much worse. Football comment: Zouma, Varane to fly flag for France? Failing to hit the mark and fulfil last season's gigantic expectations, what is going wrong at Goodison Park?